The Forefoot Measuring Device (FFMD) is placed on the bottom of the foot to help you gauge forefoot tilt and determine the number and angle of Cleat Wedges. 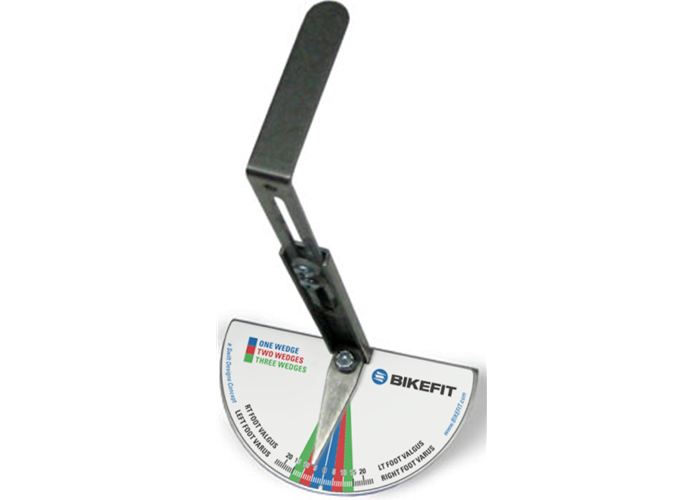 The Forefoot Measuring Device (FFMD) is placed on the bottom of the foot to help gauge forefoot tilt and determine the number and angle of Cleat Wedges and/or ITS Wedges needed to accommodate the cyclist's varus or valgus feet. Made of stainless steel it measures 5-3/4" in length to 8-3/4" when extended.